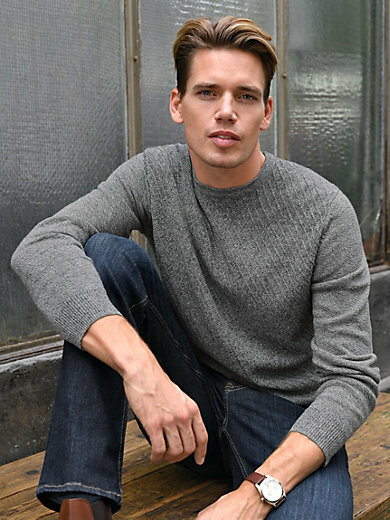 Round neck pullover by LOUIS SAYN: the perfect summer pullover made from top-quality mouliné yarn in skin-friendly cotton and cooling linen. Diagonal textured knit at the front and ribbed hems at the sleeves and hemline. 90% cotton, 10% linen. The round neck pullover is machine washable.